This week one of the biggest national campaigns took place with terrific results; a social media platform announced a new feature for their app and we learned more about getting a journalist’s attention. Keep reading to hear more with our three favourite PR and communications stories of the week. On January 28, it was #BellLet’sTalkDay, a national campaign to help raise money for mental health organizations across the country. It has become one of the biggest and most-discussed marketing initiatives in Canada and the number of messages sent in support of the campaign this year has far surpassed the number sent in 2014. We’ve outlined a few interesting statistics so far, but please read further on to learn more. 50,000,000: Texts, tweets and calls Bell registered for this year’s campaign as of 2:30 on Jan. 28. 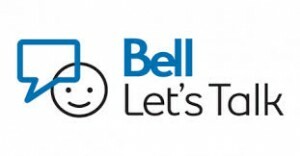 67,500,000: Amount Bell has donated to mental health organizations since it started Bell Let’s Talk in 2010. 14%: Increase in messages sent year-over-year between 2013 and 2014. The Montreal Canadiens challenged the Boston Bruins to set their rivalry aside for a moment to join the campaign. (The team agreed and pulled in 860 retweets). 1. Keep it short: Headlines should convey your central message within 60 to 80 characters. 2. Be specific: Don’t state general information. 3. Avoid braggadocio: Words like “awesome” and “magnificent” don’t add anything to the press release. 4. Be interesting: Pinpoint the most interesting aspect of your news item and highlight it in your headline. 5. Avoid jargon: Remember, you’re writing for a layperson who may have no knowledge of your industry, so keep it simple. 6. Use interesting data: Data, numbers, records and percentages catch a journalist’s eye; include them. 7. Write it for the right journalist: If your news is intended for a specific industry, write your headline with the proper journalist in mind. This week Snap Chat introduced “Discover,” a new feature which gives brands and media companies the opportunity to publish content on the app. Snapchat Discover is a new way to explore Stories from different editorial teams with brands posting content that will disappear after 24 hours. Branded stories will be a hybrid of video, pictures and advertisements; this gives partners a chance to deliver news and entertainment and the possibility of selling products.